A multi-tasking cosmetic product is a lifesaver. Especially when you need to travel light; or you’re a busy mom who has little more than 5 mins to look decent every morning. 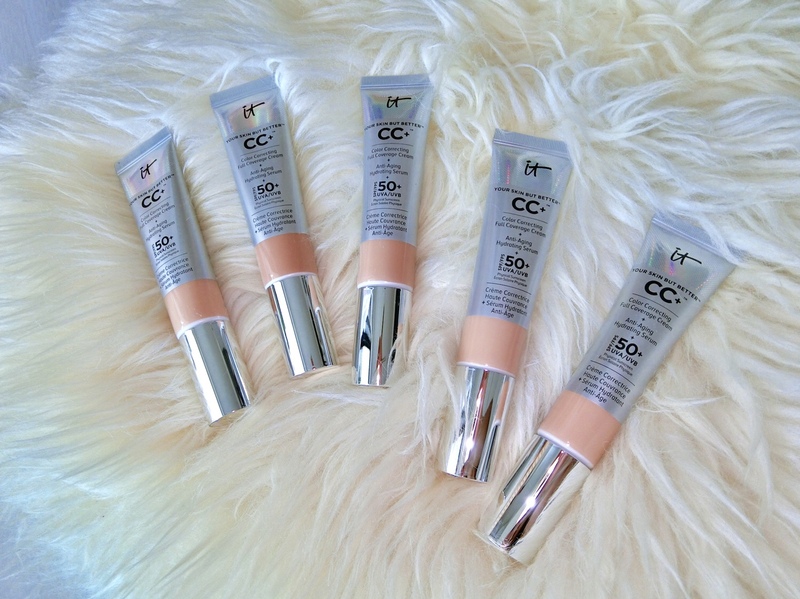 It Cosmetics’ CC+ is a colour correcting cream infused with an anti-aging and hydrating serum; as well as SPF 50+ sunscreen with both UVA and UVB blockers. It spreads on skin like butter, blends beautifully with warm fingertips, and gives skin medium to full coverage. None-sticky finish and gives skin a subtle glow. It is relatively long/lasting too. We would recommend preparing skin with skincare before makeup application, but if you don’t have the time to layer on the beauty potions before foundation, the next best thing to do is reach for It Cosmetics’ CC+.